All children need a very personalized approach to develop into well-rounded individuals ready for success in school and life. Unfortunately, all children don’t have equal access to this ideal education, and those who don’t are quickly left behind in the American competition for upward mobility. We don’t have to live with this social Darwinism, especially when states like Connecticut, South Carolina, and Massachusetts show that we can bring these highly effective learning programs into free public schools and achieve great results. Many know Montessori as a preferred educational approach among families who can afford to send their children to expensive private schools. What they don’t know is that Montessori was originally developed to elevate the lives of low-income children — and that it is being embraced in the public sector. For example, public schools in Hartford, Connecticut, offer Montessori preschool magnet programs to children from all socioeconomic backgrounds. Angeline Lillard of the University of Virginia studied Hartford’s public Montessori programs and found that they leveled the playing field for children from low-income families. Despite having lower academic measures at the start of preschool, by the end, she found, low-income children who attended Montessori were statistically equal to their peers from higher-income households who attended Montessori and other schools. In contrast, children from low-income households who attended traditional preschools evidenced a consistent and persistent gap in achievement compared with peers from higher-income families. Greater academic achievement in Montessori didn’t come at the expense of developing integrated skills that are essential for better life outcomes. 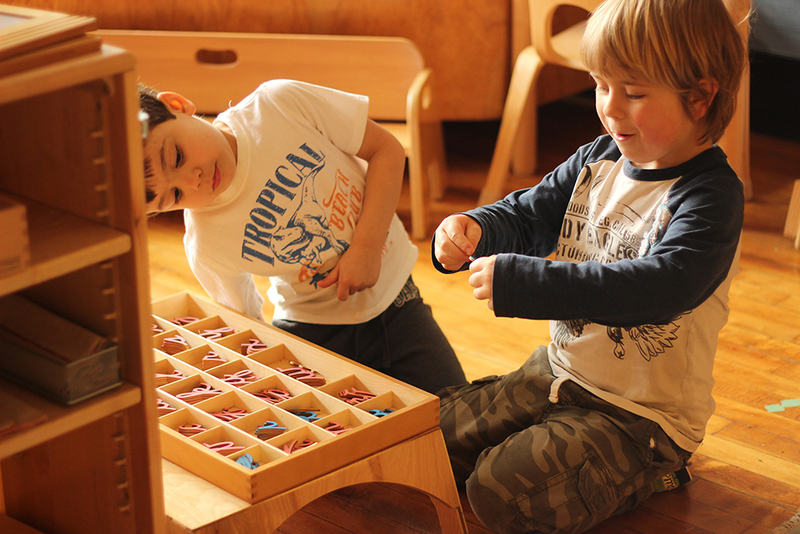 In Lillard’s study, Montessori children liked school more than children in other programs. They were more persistent in dealing with difficult tasks and had better social understanding and higher executive functioning that improved their ability to engage in goal-directed behaviors. These are skills that are relevant for school and life success. A study of South Carolina Montessori programs evidenced similar results. Low-income Montessori students showed more growth in English language arts, math, and social studies than low-income peers outside the program, and Montessori students in general showed higher creativity, executive function, and school attendance, and fewer behavioral issues, than their non-Montessori peers. Montessori is by no means the only early learning approach that works. Teachers and staff at Boston Public Schools created Focus on Early Learning, a model that combines the best elements of child-centric, highly developmental, brain-building early childhood education programs. It now operates in the majority of the district’s elementary schools, and the result is citywide improvement in language, literacy, math, executive functioning, and emotional development. Best of all, Boston is making Focus on Early Learning available to all public schools — complete with an infrastructure, high-quality materials, and guidance on how to build collaborative environments, evaluation mechanisms, and continuous quality improvement. There are important lessons here. High-quality early learning programs can be brought to scale in very diverse public settings to produce the outcomes we want to see in all children. We can be more successful by focusing on developing the whole child, not just academic skills. And, what’s ideal for low-income children is what’s ideal for all children: understanding them as people and giving them self-agency, the freedom to learn at their own pace, and the guidance to become lifelong learners and doers. Iheoma U. Iruka, Ph.D., is the chief research innovation officer and director of The Center for Early Education Research and Evaluation at HighScope Educational Research Foundation.